For weeks, I’ve been excited and anxious to start a writers’ workshop. I need critiquing and to learn how to revise and edit better. The workshop has started and I’ve gotten my first critique. My gut response, my very first thoughts out of the gate were: “Screw you! Your comments don’t even make sense. What are your credentials again?” Even as I’m thinking that, I start laughing at myself. I’m skilled at defensiveness. My husband said, “You’ll process the comments in about a year or so.” Having been the recipient and instigator of my retorts, he knows that I’ll be a reasonable person. Eventually. I think on some days, I walk out into the world wearing a “Whadda you lookin’ at?” expression on my face. I have a curiosity about this reaction. 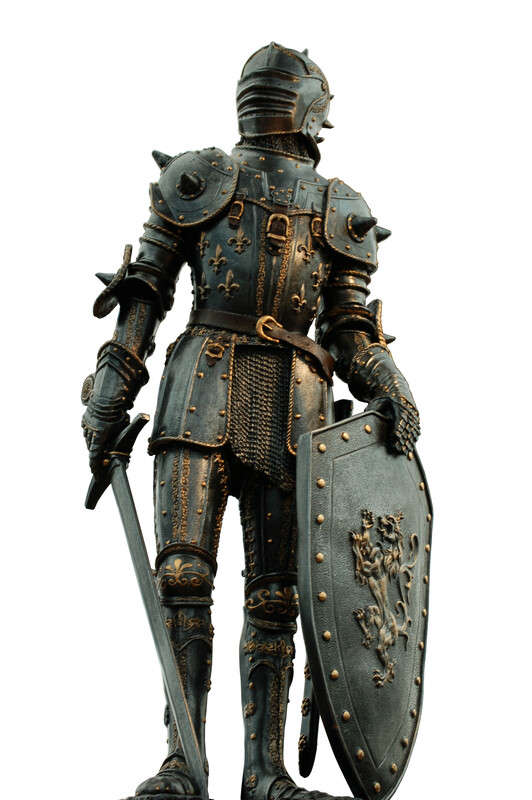 My armor is well-worn and heavy, exhausting to always have on. How do you re-train yourself to stay open, to let things flow through and over you, to take in what you need and discard the rest? I was trained at an early age to see that nothing in this world was “good enough”, including myself. No matter what self-revelation or epiphany I’ve discovered or had, this is a core point that I struggle with daily – the essential feeling that I could always be better. Always needing to improve is partly cultural. As I’ve mentioned in a previous post “Being Just Right“, we are groomed as consumers to be perpetually dissatisfied with ourselves. The main message is: “You are not good enough as you are.” Fighting external and internal messages in order to maintain some semblance of personal satisfaction requires protection, an ability to fend off those messages and move on. I now force myself to say “thank you” in the face of compliments. Gratitude is much more appealing than coming up with five million reasons for why that person doesn’t know what they’re talking about. Although I will always suspect that they don’t. This re-training may take awhile, but if I hope to gain skills, I need to be open to the teaching. In taekwondo sparring, you bow to your partner/opponent to show respect, before and after the match. After delivering and receiving repeated kicks and strikes, you bow and then you shake their hand and say : 감사합니다 (kamsahamnida), which is Korean for “thank you”. Initially, I thought sardonically “thank you for beating the crap out of me, now I’ll be limping for a week”. Now I’ve learned to think “thank you for teaching me”. So, I bow to my writing instructor: I will humbly revise according to your suggestions. Thank you for teaching me. That was one of my challenges, too. Learning to just say, “Thanks!” As you suggest, being thankful is the gracious response! I wonder if it’s helpful to separate the feelings of “not good enough” and “I can be better.” The first, as you say, is pounded into us by advertisers (and, very sadly, sometimes friends and loved ones) with an ulterior motive. It’s not a useful or pleasing message. But the drive to always improve is a good thing. That one is about personal goals and personal growth. That one is, or should be, for us all a life-long journey. It’s very hard to separate the two, I think, especially if it is internalized and not just outside messengers. I would never suggest that trying to improve is a bad thing, but constant striving is a bit exhausting. I think the learning and just being bits are necessary components – they give meaning to everything else. I need another cup of coffee. I’ve gone a bit Zen-ish. Thanks for taking the time to read my post! I think sometimes it’s hard to hear someone critique something that we have invested in – how dare they not be impressed – they don’t see it the way that I do. The truth is that they cannot see your writing the way you do – but they can see things that you do not. It’s a tough lesson especially when trying to break old habits and break out of that defensive. I struggle with this myself as a designer. In my work I have to balance what I know to be good design with what the owner of the company I work for wants. I also have to be open to him seeing details that I have missed that makes the design better. One thing though – sometimes critiques are wrong and you should stick to your guns! I have such a negative knee-jerk reaction to critical suggestions. There’s an exercise they do in improv comedy classes where you play off of everyone else. The practice requires that you react to them with a big “YES” and just go with whatever action, sound or words they put out. I need to apply it in writing (and probably life) – learning to take it all in with a huge “YES” instead of an automatic and hostile “NO”. With experience, I can then learn to sort out what works or doesn’t. Your job sounds like a challenge. And you’re right, if you are really invested in your creative abilities, it’s hard to imagine work being changed or modified. It’s like anything else, I suppose – the tighter you hold on to an idea or a work, the less likely it is to become something marvelous. The trick is knowing when to stand your ground and when to take another perspective. Our creative enterprises can be so personal – that are a part of us. It’s hard to take criticism about things like that. Thank YOU for teaching me. This is a wonderful post for me! Thank you so much for reading my posts – we all can learn so much from each other! Wow, this is amazing – informative and entertaining! And great comments, too. I love the comments – it’s such an engaged and engaging community. Thanks for the kind words and for reading my posts!